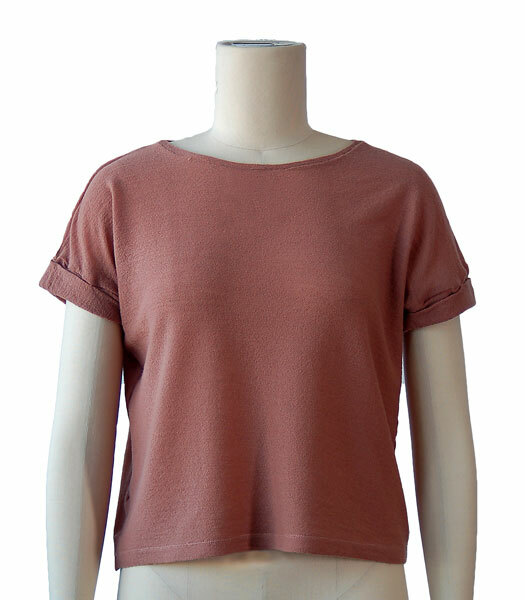 This versatile knit top is so comfy it will quickly become your favorite! It can be made up as a sweatshirt with pockets that are perfect for storing all kinds of treasures (like movie tickets, small chocolates, or money for the cafe), or it can be sewn up as a T-shirt with cute cuffed sleeves. 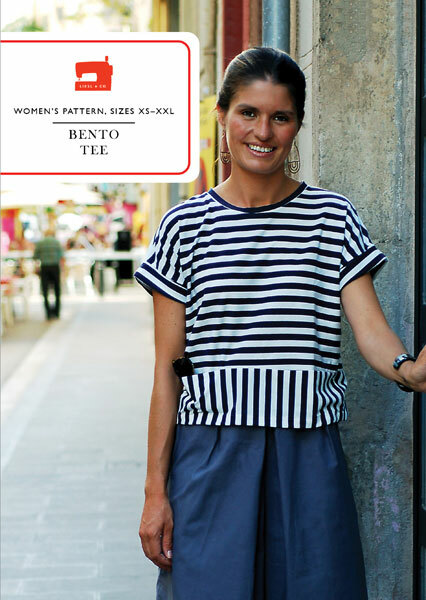 Share your photos on Instagram with the hashtags #bentotee and #lieslandco. This versatile knit top is so comfy and cozy it'll quickly become your favorite! 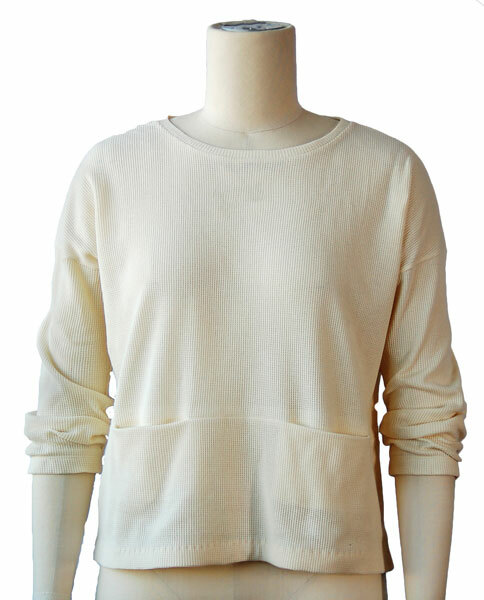 It can be made up as a sweatshirt with pockets that are perfect for storing all kinds of treasures (like movie tickets, small chocolates, or money for the cafe), or it can be sewn up as a T-shirt with cute cuffed sleeves. 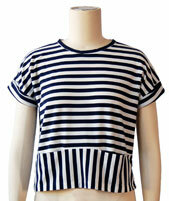 Simple to sew, this relaxed top can be constructed just the way you want it. View A includes in-seam pockets and short, three-quarter or long sleeves (your choice). 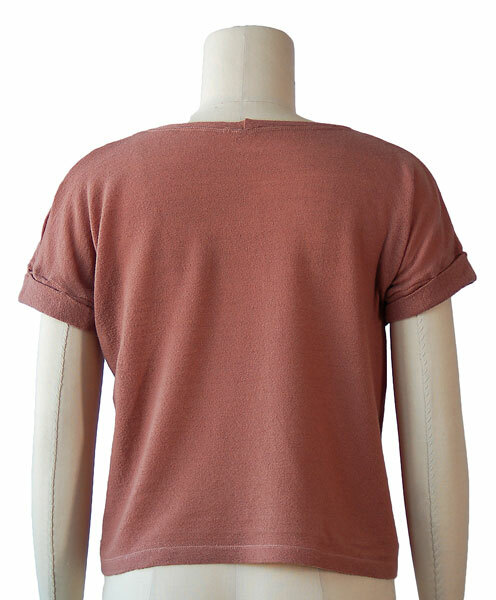 View B is a hip-length T-shirt with short, cuffed sleeves. 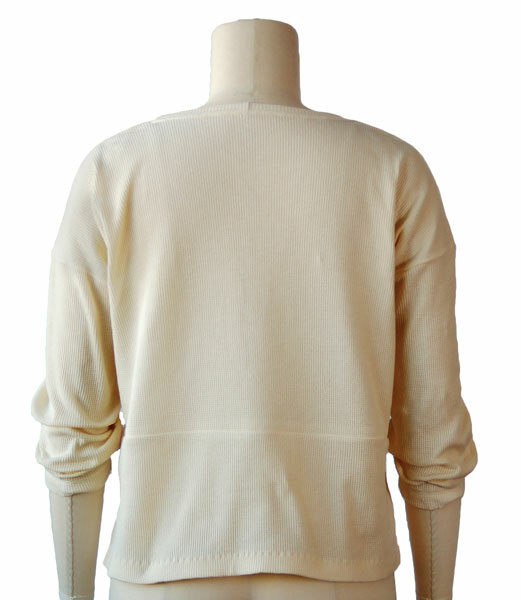 Light- to medium- weight knit fabrics with at least 25% stretch like jersey, French terry, cotton fleece, velour, and waffle knit. Coordinating thread, lightweight fusible interfacing (knit or nonwoven). Chest 38 1/4" 40 1/4" 42 1/4" 44 3/4" 47 3/4" 50 3/4"
View A, Length* 24" 24 3/4" 25 1/4" 26" 26 1/2" 27"
View B, Length* 20 3/4" 21 1/2" 22" 22 1/2" 23 1/4" 23 3/4"
*Measured from shoulder at neck. I like the pocket detail. 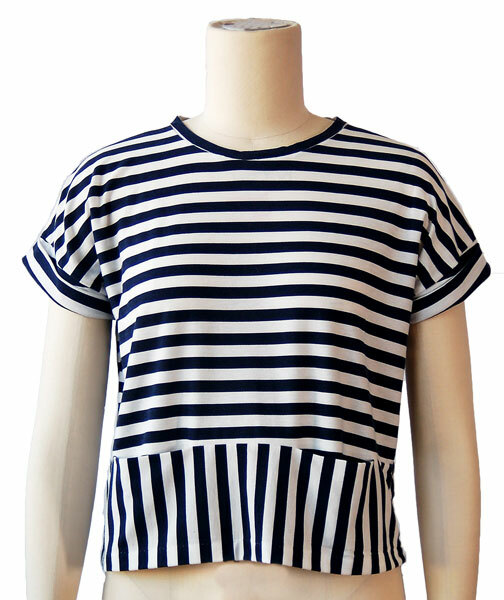 Always looking for a good t-shirt pattern and this offers endless variation. Loose and comfy and just right for spring wear. Bento tee was a lovely and quick make. I love the fit of this boxy top and will make more in the future. Everything came together easily and it was a pleasure to sew. Super easy and quick to sew, perfect fit and so comfortable it came as my favorite basic. I did the sweat version with long sleeves and I need to do more. I am French but instructions are easy to understand. I used this knit pattern for a woven faux fur top for my very slim grand daughter. I cut it a size larger than I would have for a knit. Because it was basically a box, it was perfect for the faux fur. She loved it. And I can use the pattern over and over again for her...only with a knit this time. Bought this as a training pattern for my sister's first project for a new machine. She did it and was really pleased with the fit and we made a short cowelneck for the fleece we used. She was thrilled with the final result and was going out to buy more fleece to make one for her daughter after I left. Love the last page that can be printed on a large format printer like Staples have in their stores here. A great pattern - very clearly written and good fit. Took the fear out of sewing with knits. A quick sew with a perfect outcome. Wonderful pattern. Quick and easy sewing project. Clear directions. Perfect sizing. I have made two and plan to make several more. Great summer wardrobe staple. I saw a great photo of this pattern on a blog and then read another review on blogless ana's blog. I had to have the pattern and made it up very quickly (twice) in blue and white striped jersey. I found it very easy to follow the instructions and the sizing was spot on. I don't fold my sleeves back but leave the border down which makes a nice statement. 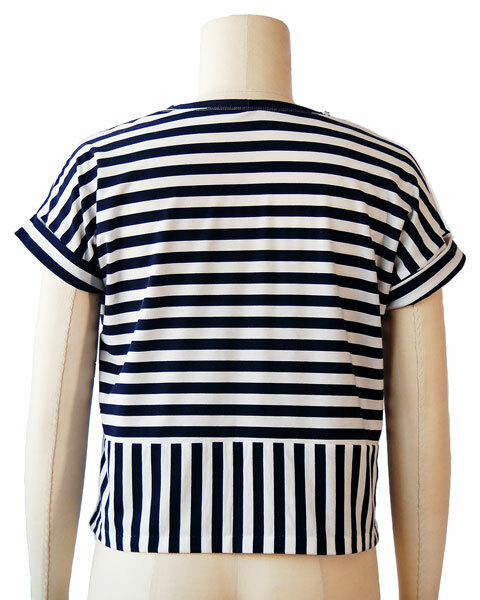 I didn't include the bottom border with vertical stripes, for me it was a bit too much. I have made one version slightly longer than the pattern and another a longer again, to wear over white jeans. I love the pattern and will make it again for certain. Bought this pattern as an experiment because I was not experienced at sewing with knits. Tried the short sleeved version first and was amazed at how well it came together. Very well drafted and I love how the cuff on the sleeve works. Was a little worried about sewing the neckband but the instructions were great and the result was too. Charming little shirt! This is the best pattern ever, Very simple and quick to make and the final result is excellent. I will be making a lot of these, great for all seasons depending on the version and fabric combinations! This is a great pattern. Just a joy to sew. 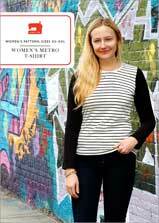 I have made a few in both long and short sleeves, as well as heavier and lighter weight knits. All worked great. They are in style and fun to wear. The pattern offers lots of opportunities to customize and I will definitely make more. I enjoyed every step of sewing this shirt and I plan to make more because the pattern allows almost infinite variations.... but this is a consistent quality in your models and I love them for that reason! Thank you, you improve my creativity. I have made two shirt and love both. On one I used T-shirt ribbing on the long sleeves and at the neck and it came out great. I loved the pattern and I've made it three times. Twice right by the pattern and once with added length on the band. I did do the pocket step that was in your instructions to do on the sewing machine on my serger using the "inside corner" technique that we teach in our mastery class. It worked great! I am enjoying using your patterns. 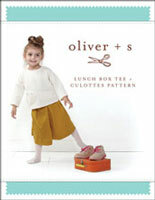 Discussion on the digital bento tee sewing pattern from the Oliver + S Discussion Forums. 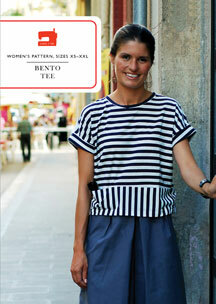 Find and share more photos on Instagram using the hashtags #bentotee and #lieslandco.